∎ In 2009 a book “Arnold Heim. 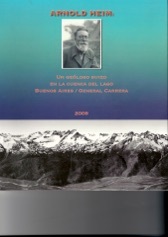 A Swiss geologist in the watershed of the lake Buenos Aires / General Carrera” was published in Spanish by Wolfgang Staub, living in Puerto Ibanez, on the lake General Carrera. 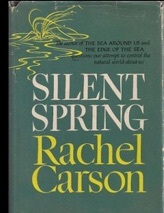 The publication is mainly a translation of an extract of Dr Heim’s publication relating his travel through Chile, Argentina and Bolivia in 1930s - 1940s and initially published in 1953. 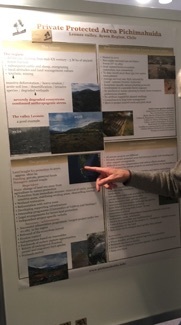 It contains photos of Leones valley in 1939 - 1945, as well as photos of the same areas taken in 2009 by the translator’s expedition in the valley; mentions the state of the ecosystem of the time and the alterations of the ecosystem at arrival of the first colonists. Comparative photos show no improvement of the natural ecosystem between 1939 and 2009. 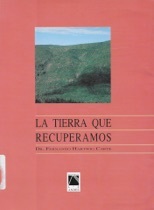 ∎ Otero, L. 2006. La huella del fuego. Historia de los bosques nativos. 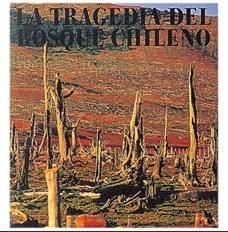 Poblamiento y cambios en el paisaje del sur de Chile. Editorial Pehuén. Santiago, Chile. Please note that, as a general rule publications, including text and images, about the project in mass and/or social media are not authorised by the project, unless explicit consent is given by a responsible authority of the project. Any publication to which explicit informed consent has not been granted will be considered as reprehensible and therefore legally contested. Tenga en cuenta que, por regla general, las publicaciones, incluyendo texto e imágenes, sobre el proyecto en medios de comunicación y/o redes sociales no están autorizadas por el proyecto, a menos que una autoridad responsable del proyecto dé su consentimiento previo explícito. Cualquier publicación a la que no se haya otorgado un consentimiento informado explícito se considerará reprensible y, por lo tanto, se disputará legalmente.